A brace from Meddie Kagere handed Tanzania’s Simba SC a convincing 3-0 win over Algeria’s JS Saoura in their CAF Champions League, Group D match at the Benjamin Mkapa National Stadium on Saturday. The win sees Simba at the top of Group D on goal difference after Egyptian side Al Ahly beat DRC’s AS Vita Club 2-0 in the other group match on Saturday night. It was not the best opening half with both sides squandering possession early on with poor passing and bad decision making in the final third. Nonetheless, the home side pressed forward and managed to take a 1-0 lead into the break after a first half injury time goal from Emmanuel Okwi. Simba came out firing in the second half and doubled their lead seven minutes after the restart courtesy of a clinical finish from Meddie Kagere, 2-0. The match was over as a contest in the 68th minute when Kagere scored his second goal to give Simba a 3-0 lead. The Algerian side tried to find their way back into the match, but were unable to do so and suffered a loss in their opening Group D game of the CAF Champions League. Simba are next in action Group D away to Vita Club on Saturday, 19 January while Saoura are at home the night before against Al Ahly. 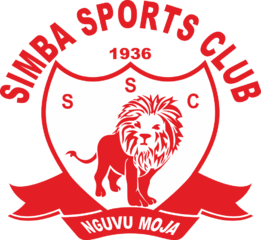 Simba: Manual, Husseini, Okwi (Kichuya 87’), Wawa, Kotei, Dilunga (Yasin 66’), Bocco, Mkude, Chama, Gyan, Juuko. 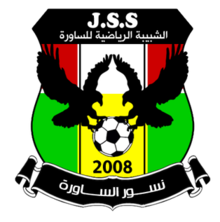 Saoura: Boukacemi, Khoualed, Bekakchi, Boubekeur, Talah, Merbah, Farhi Benhalima (Boulaouidet 74’), Koulkheir (Ulimwengu 55’), Hammia, Zaid (Lahmri 62’), Hammar.